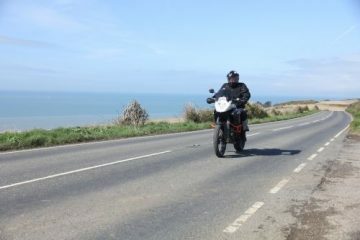 To ride, or not to ride, that was the question on my mind as I looked out of the rain streaked office window. 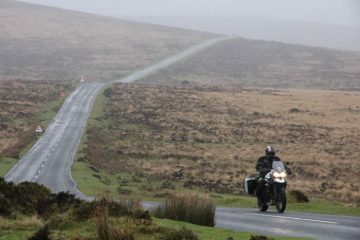 I could see a section of the Shakespeare Way from my desk, and as the rain hadn’t shown any sign of stopping for some days, I decided to ride. The Shakespeare Way is a 146-mile long walking path from the birthplace of one of the world’s greatest playwrights, Stratford upon Avon, to the country’s capital city, London. 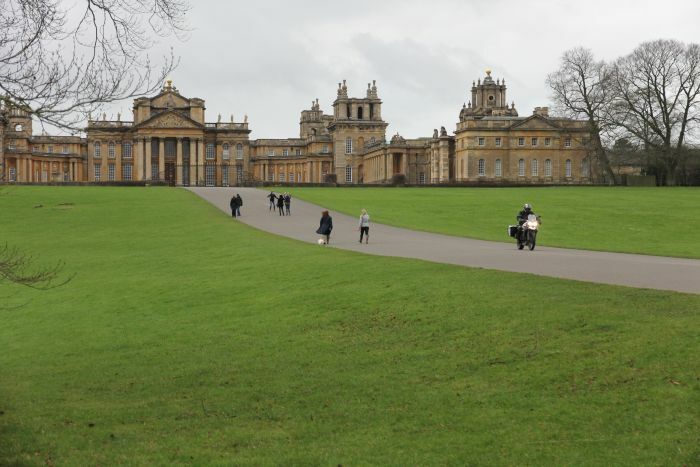 The route takes you through the picturesque Cotswolds Area of Outstanding Natural Beauty before running past the magnificent Blenheim Palace in Woodstock. From here you explore the dreamy spires of Oxford, onto the Chiltern Hills and the mighty River Thames, before following it into the heart of London, to Shakespeare’s Globe Theatre. To ride the route on the 400th anniversary of old Bill’s death seemed fitting, and as ABR towers is located just outside of Stratford upon Avon, I couldn’t pass up the opportunity. 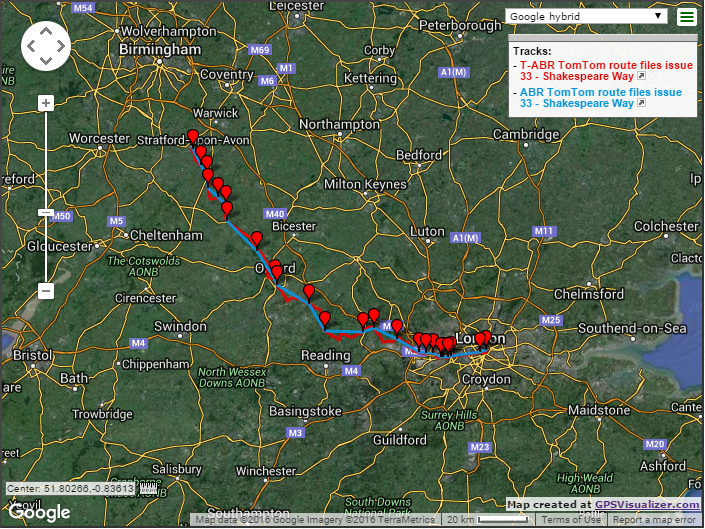 Our starting point for the ride would be the Royal Shakespeare Theatre (RSC) in Stratford. 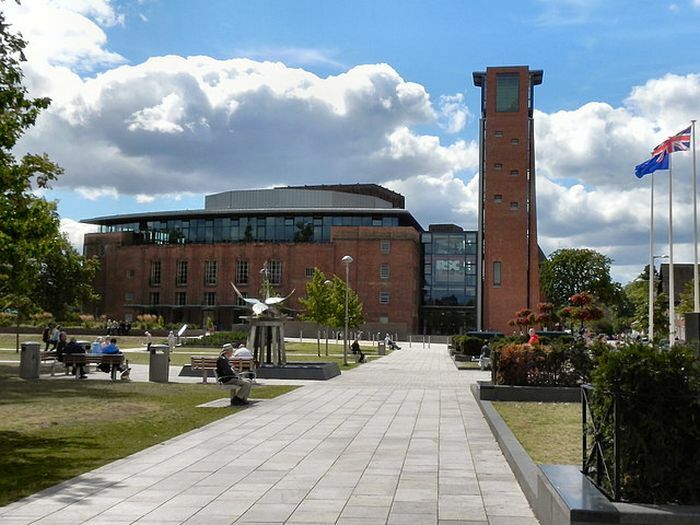 Having worked at the RSC for a few years, and lived in Stratford for my entire life, I suppose I’m oblivious to the magnificence of both the theatre and the town – to see it through fresh eyes would be a delight, and while the theatre has been rebuilt and redesigned in recent years, it dominates Stratford’s skyline of thatched roofs and beautiful churches. I would thoroughly recommend exploring Stratford the night before, the town is Shakespeare mad and it’ll get you in the spirit to follow the route that the man himself may well of used on his many journeys between the town and city. Shakespeare’s Birthplace is a worth a quick look, while the Holy Trinity Church, the resting place of the Bard, is an architectural wonder. 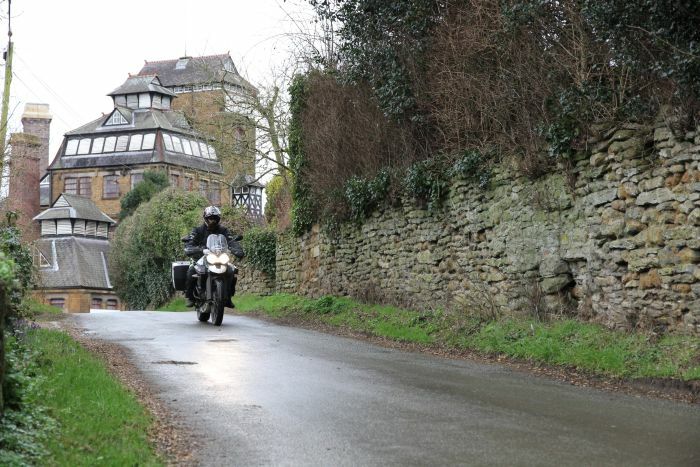 From Stratford we head out along the Shipston Road, passing Atherstone on Stour (home of ABR) and Ettington Chase, a grand hotel in the middle of the countryside that’s reported to be one of the most haunted buildings in the UK. Whether the ghosts and ghouls are real or not, the building was the set of the 1960’s film, The Haunting, and is well worth a ride by. 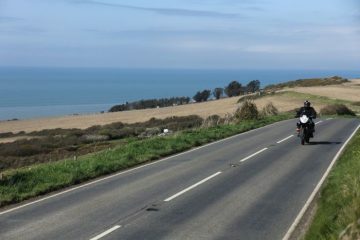 The road is an enjoyable ride, though it can be particularly traffic heavy if ridden at peak times, and once you’re past Shipston on Stour you enter the Cotswolds where the tarmac begins to rise and fall and the beautiful rolling hills expand around you. 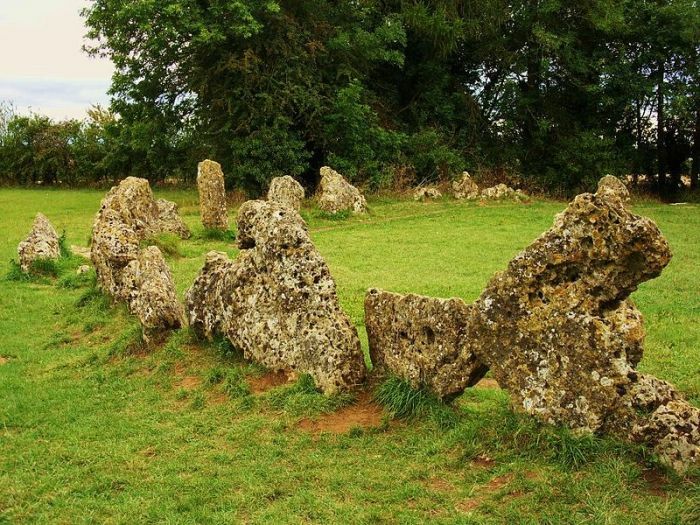 History buffs will want to check out the Rollright Stones in Little Rollright, a set of three ancient monuments, The Whispering Knights, the King’s Stone, and the King’s Men, that were constructed some 2,000 years ago. While some may see them as just a collection of stones, to stand in the circle is a marvellous experience and to imagine what the rocks must have witnessed in their lifetime is mind-boggling. The stones are all within easy walking distance of a lay-by. From Little Rollright, a stop-off that I deem critical is to the Hook Norton Brewery, one of the UK’s oldest independent breweries. As you ride up the narrow street to the premises, you round a corner and the unique building rises high above you. I couldn’t help but think of the factory from Charlie and the Chocolate Factory as I wandered around the grounds. 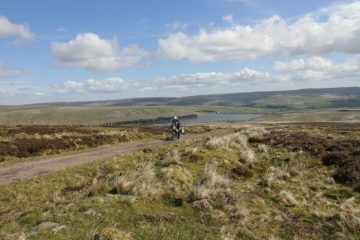 I would fully recommend a tour while visiting the place and it has a fascinating history. Though make sure you book the tour before you arrive. From Hook Norton it’s just a short ride to Blenheim Palace, home to the Duke of Marlborough. Admission to the grounds is £5 per person, and while you can of course skip it, the palace is a magnificent sight. Through Woodstock we then ride through the centre of Oxford, home to one of the world’s most prestigious and well recognised universities. While the frantic and congested city riding isn’t particularly note-worthy, the sights you see as you take a street-level tour through the place are great. Out of Oxford we head south-west through the Chiltern Area of Outstanding Natural Beauty, running parallel to the tarmac artery of the M40, past Chalgrove Battlefield and through the delightfully named Christmas Common to Marlow, a fanciful town on the River Thames. As you ride through Marlow you’ll cross the Thames on the Marlow Bridge, a remarkable suspension bridge that pops up out of nowhere to take you by surprise. The Thames roars below and is impressive in all its might. Though it’s only 30 miles from Marlow to Shakespeare’s Globe we’re about to enter the frantic streets of London. But not before we take a few moments to explore the beautiful Burnham Beeches. It’s hard to image that a place to tranquil could be found so near one of the busiest cities in the world, but a ride around the single track lanes in the woods will calm your nerves before you follow the Thames. 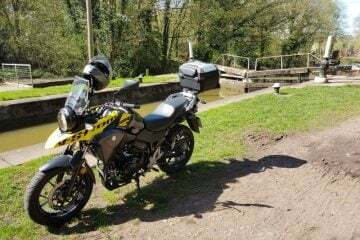 If you’re not comfortable with riding in busy city streets then I would advise that you make West Drayton the finishing point of your ride, though if you press on the ride through London is rewarding as you pass landmark after landmark. 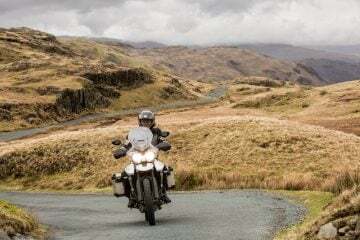 As you ride closer and closer to the centre of the bustling metropolis you can’t help but get carried away by looking at the multitude of world-famous buildings, monuments and parks. It’s easy to get lost on the streets of London, but crossing the many bridges at your leisure will afford you a new perspective of the capital city, before you make your way to Shakespeare’s Globe Theatre. 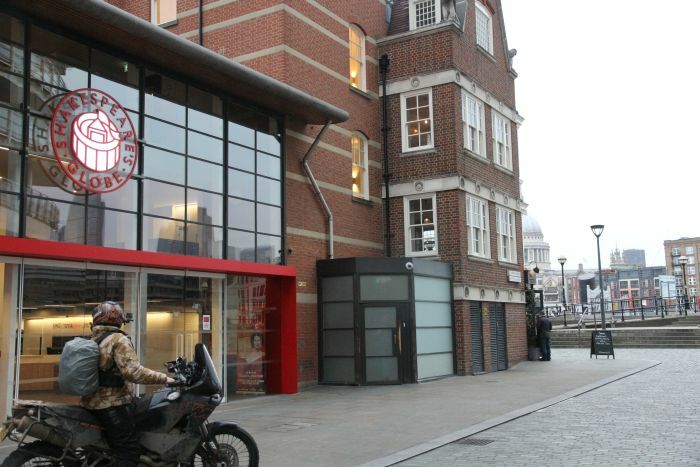 Unfortunately the original Shakespeare’s Globe was destroyed in 1613, but arriving at the front doors of, again, one of the most famous theatres in the world, having just ridden from the birthplace of the world’s most celebrated playwright, is a fantastic feeling. 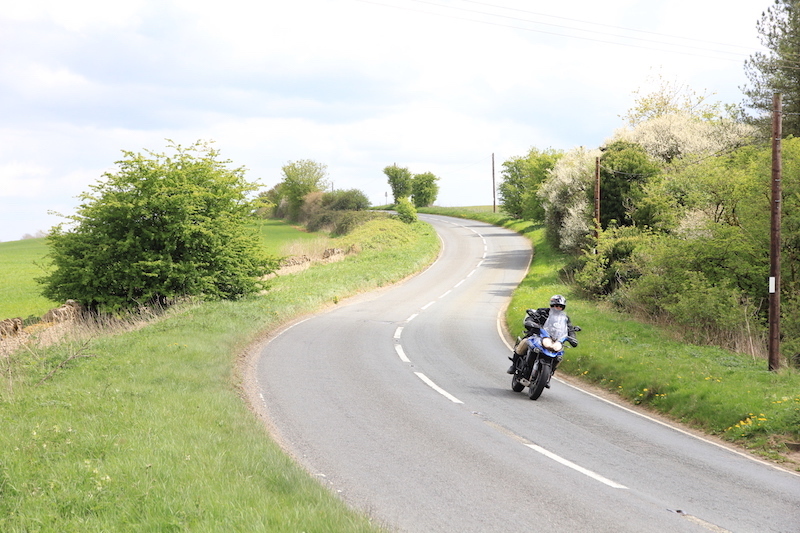 We rode the route from Stratford to London, though there’s no reason why you couldn’t do it the other way round. If starting in Stratford, I would advise turning up the night before so that you can get an early start and head home from London at the end of the day. Fortunately, both Stratford and London, being major tourist hubs in the country, are littered with accommodation and eateries, from budget options to fine establishments that will cost you a bomb. 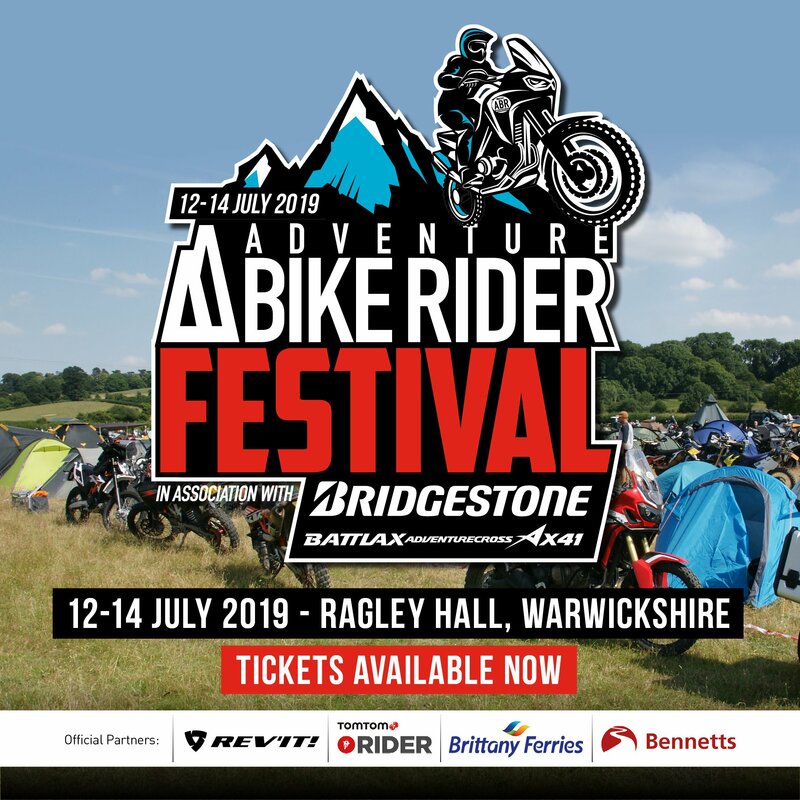 If riding in peak season I’d advise booking in advance in Stratford upon Avon as, although there are a plethora of hotels and B&Bs, they fill up fast.